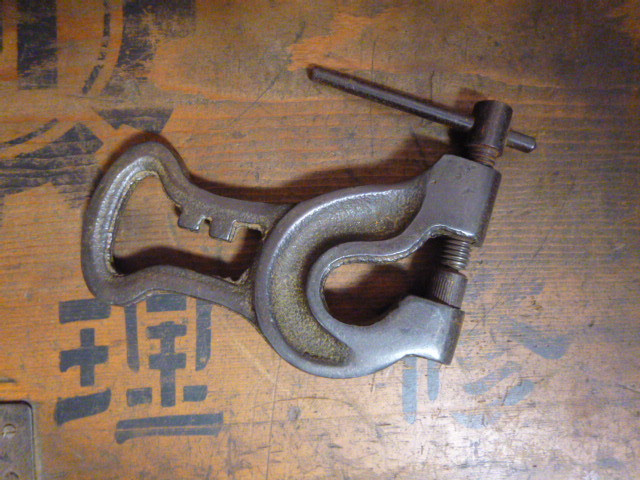 Vintage bicycle tools from the 1950's bear many of the same characteristics as the bicycles of the same period, ie, they are simple, built-to-last, and, bear the manufacturer's name or tradmark, often more than once. It has been mentioned repeatedly how bicycle manufacturers went to great lengths to place their name or logo on nearly every part, often more than once. 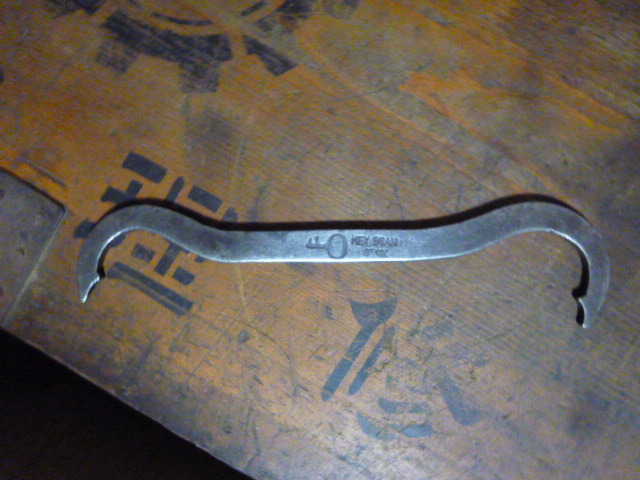 In many cases, such as Nichibei Fuji, the company actually cleverly incorported the design into actual parts. This was often the case with chainwheels. 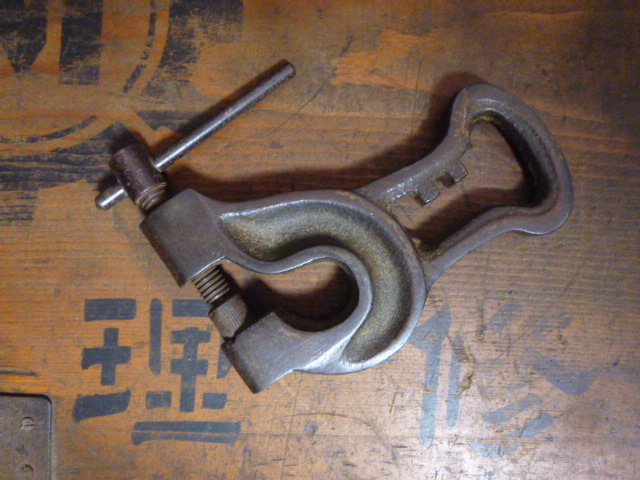 Let's take a look at an example of a tool manufacturer and how the manufacturer cleverly incorporated the trademark into the tool design. 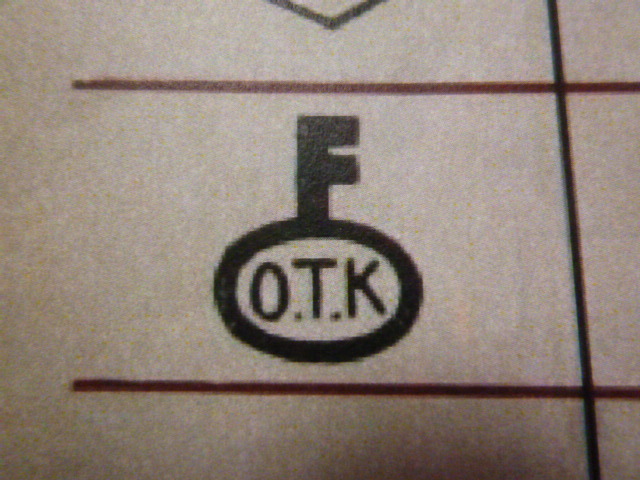 The particular tool company is Ohtsuka (O.T.K), whose trademark was a key. 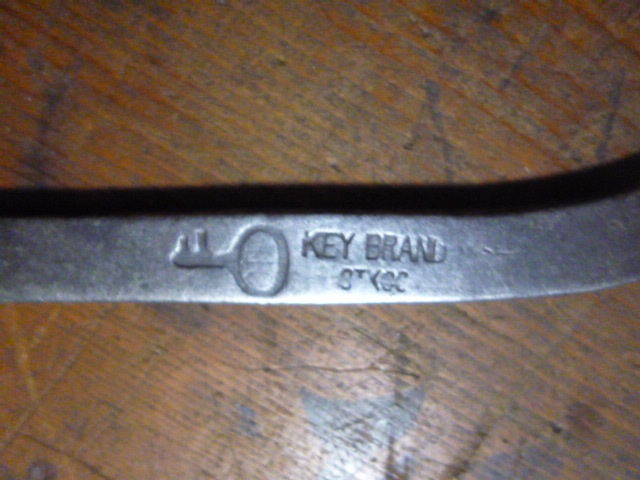 Here is a C-spanner which is stamped with the "Key" trademark. Now, take a close look at the fender stay hole punch below. Can you see the key trademark? 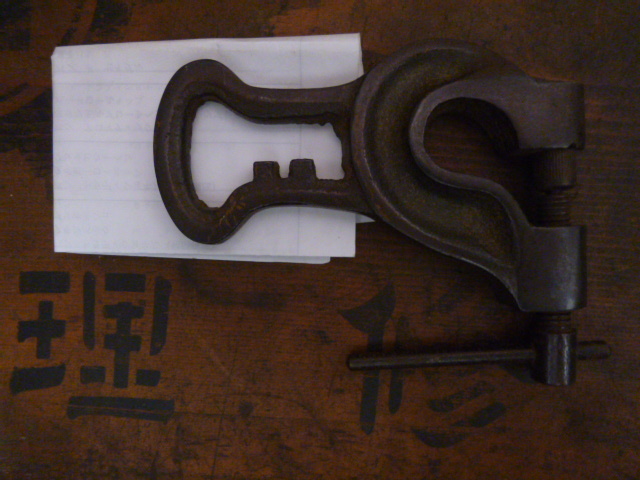 The key trademark was claverly designed into the handle. I have accumulated an extensive collection of old bicycle tools and in the future will periodically devote more time to this important aspect of vintage Japanese bicycles.